Has Canada Lost Faith in the CBC? The president of CBC published an article in Huffington Post recently asking Canadians for help in deciding CBC's future. Good idea but the plea received modest reader feedback. Is it a sign that CBC has lost the public, that Canadians have stopped believing in and what CBC and its managers say? The president of CBC published an article in Huffington Post recently asking Canadians for help in deciding CBC's future. Good idea but the plea received modest reader feedback; a few hundred people at most cared enough to comment or like the article. CBC also launched an unscientific survey on its web site to solicit public input but it has been met with criticism. Is it a sign that CBC has lost the public, that Canadians have stopped believing in and what CBC and its managers say? For years CBC has claimed, critics would say whined, that it has suffered from underfunding. CBC does need more money just to keep providing existing programming but the arguments the CBC uses to defend current or increased funding have clearly not worked. Why? Is it deliberate or a faulty communications strategy? CBC claims to be open, transparent and accountable for the $1 billion dollars in taxpayers' money it receives. The $1 billion is spent on English and French radio and TV and miscellaneous other services. If more funding is needed to serve Canadian audiences, especially in TV, CBC needs to be far more transparent about how it spends its money and explain more convincingly why more dollars are required. The problem: CBC is too secretive and misleading. CBC releases financial and other data to the media which often leads to inaccurate reports. For example, in April the Globe and Mail's TV critic proclaimed incorrectly that CBC's government funding was now "much less than" $1 billion. This was corrected in a later column but that column made the error of quoting CBC as saying its total budget, including non-government revenue, was about $1 billion, when it is about $500 million more than that. Other journalists more familiar with the use of empirical data have also fallen victim to CBC. The CBC president corrected this misinformation in a recent speech but once information is out there, there is a risk that it will be repeated indefinitely. CBC has also released incorrect information to the media about the number of staff it has and the number cut in the past few years. CBC told reporters before recent cuts were announced that it had about 8,150 staff. In fact, the staff count was over 9,000, if one includes CBC employees who work for specialty channels such as CBC News Network (but not counting staff employed at cbc.ca, etc). CBC says budget cuts mean 2,100 "full time equivalent" positions have been "affected" since 2009. Translation: over the past five years full time positions may have been "affected," i.e., were vacant or eliminated, but then new positions seem to be created in their stead. For example, in February CBC told the Senate inquiry looking into CBC that 750-800 jobs were lost as a result of the government's 2012 budget but the net number of staff cut after the 2012 budget was around 300, as shown in the table. Most of the job losses the past five years have been in radio, something CBC seems reluctant to discuss, despite the fact that radio is its most successful service. The CBC is required by regulation to provide the CRTC staff numbers shown here. Tellingly, nowhere does CBC publish the number of staff it has, let alone the salaries it pays to staff either in aggregate or by individual, as does the BBC. 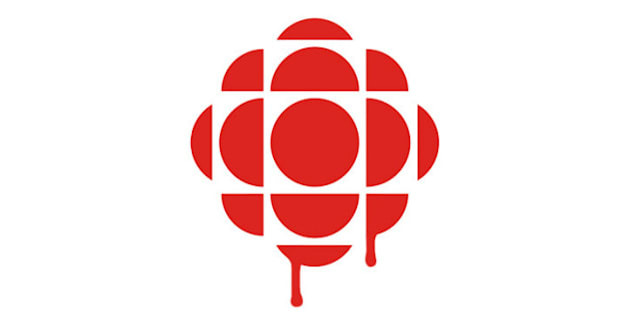 Misinformation and cuts to radio have alienated many CBC supporters and caused a major rift between CBC staff and management and CBC radio and TV staff. CBC has also angered independent producers who are the unwittingly the target of CBC's attacks on private broadcaster subsidies and tax credits and now the producers, in the words of one senior person, "hate" CBC. -For years CBC claimed that NHL hockey made a profit, telling the CRTC in 2012 that hockey subsidized other programs. Only after losing NHL rights to Rogers, was there an admission hockey was at best breaking even the past six years. -CBC constantly uses data from consulting firm Nordicity to claim that per capita cost of CBC is much lower than public broadcasters in other countries, failing to point out that Nordicity also found that internationally CBC TV is the poorest performing public broadcaster in audience terms. -CBC regularly points to an analysis by Nordicity that shows private broadcasters benefit from public subsidies and tax credits (which actually go to independent producers, not broadcasters). Presumably the logic is to point out that even private broadcasters need access to public money. Valid point but this analysis fails to acknowledge that CBC also benefits from these sources, in addition to its Parliamentary grant, and that these policies were originally established to support independent producers because the CBC was considered too dominant. It would be better to simply bring attention to the very high cost of producing TV, using international examples. -Analysis by (once again) Nordicity is used to support the flawed conclusion that advertising on CBC is good public policy. Advertising inevitably leads programmers to make programs for advertisers rather than viewers and listeners, something Heather Conway, new head of CBC English, acknowledged according to the Globe and Mail who said she will "work more with marketers to create so-called branded entertainment (a.k.a. product placement) shows." As long as CBC seeks advertising revenue, which is theoretically limitless, and puts itself on the same plane as private broadcasters, it will be difficult to argue for increased public funding. -For decades CBC has produced pretty-looking program schedule charts that show how much more Canadian programming it has compared to CTV or Global but omit that Canadian audience performance of the private networks throughout the day often trumps CBC. -CBC cherry-picks data telling the Senate inquiry that its prime time English TV audience is equal to that of a decade ago, when data on the CBC web site demonstrate otherwise. Besides, if true, does that help the argument for more funding; wouldn't it mean government cuts were justified? CRTC reports that CBC TV has only about a 5 per cent audience share on a 24-hour basis. If CBC were to acknowledge this reality, more Canadians might support increased funding, especially if there was a compelling service proposal. -CBC unceasingly touts its audience performance but when challenged with negative facts, says ratings are not important to a public broadcaster? -There are many more examples, some of which have raised the ire of MPs and Senators, causing both houses of Parliament to threaten to subpoena data on CBC finances, salaries, etc. Our independent public opinion research shows that CBC is still one of Canada's most valued public institutions, indispensable for many Canadians. So CBC programs and services are valued but CBC management has not done a good job communicating this. A good case can be made for restoring CBC radio budgets and increasing funding for CBC TV. But CBC management needs to open the books and address not just CBC strengths but also its shortcomings and propose a new approach which puts the audience first. More transparency about its finances, staff and audiences and less defensive analysis from consultants might be a start to restoring Canadians' faith in the public broadcaster.